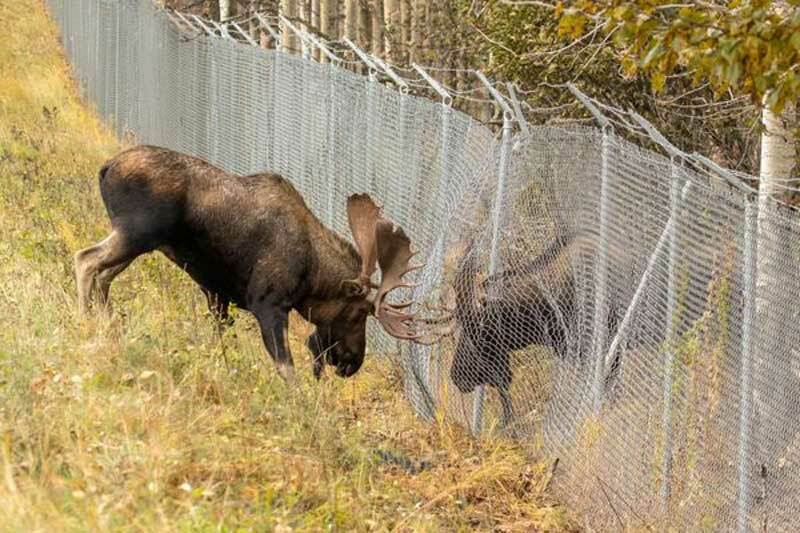 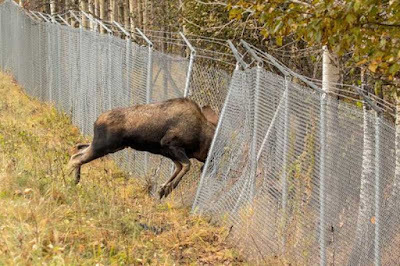 A pair of bull moose battled each other from opposite sides of a chain-link fence near Kincaid Park in Alaska, on Sunday, with neither animal able to break completely through the barrier. 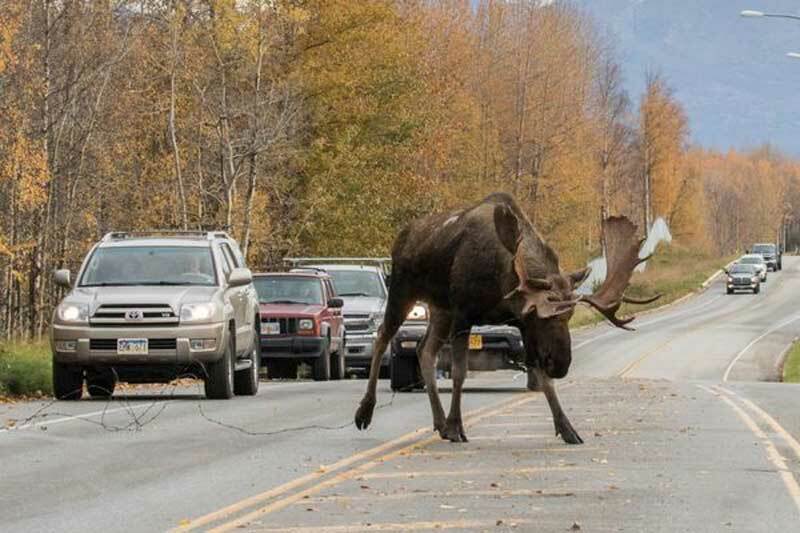 The fight went on from mid-morning until mid-afternoon. The moose caused significant damage to the fence and the "inside" bull nearly made it all the way through the fence. 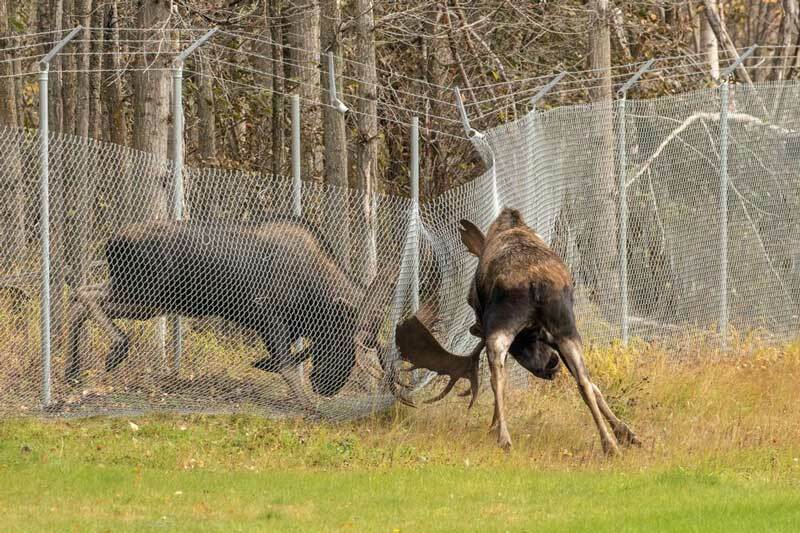 The "outside" bull ended up getting tangled up in the fence's barbed wire and had to be tranquilised by biologists, allowing them to move in and cut the wire free from the animal. 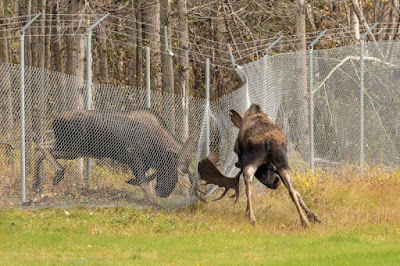 Usually, there's an eventual winner and loser in rutting matches like this one, but in this case, with the fence in between them, there was no real winner. They just kept fighting until one bull became tangled in the wire, at which point it wandered off and lay down until the wire could be removed.